This year marks the 10th anniversary of Beyond Limits at Chatsworth House in Derbyshire. 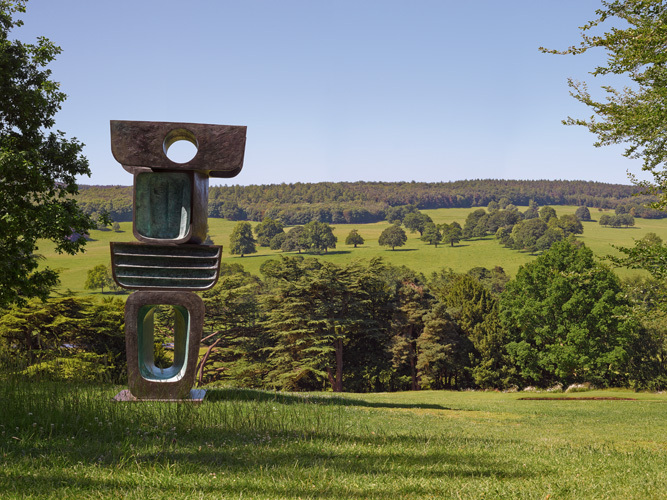 Celebrating some of the most original, monumental sculpture being made today, Sotheby's Beyond Limits is an international and prestigious exhibition displaying modern and contemporary outdoor sculpture in the grounds of Chatsworth House. A key event in the art world calendar, recent exhibitors have included Damien Hirst, Marc Quinn, Jaume Plensa, Manolo Valdés and Thomas Heatherwick (designer of London’s Olympic Cauldron). Barbara Hepworth, The Family of Man, Figure 1, Ancestor 1, 1970 Lynn Chadwick, Dancing Figures (Two Dancing Figures), 1956 The 2015 exhibition is entitled The Landscape of British Sculpture 1950 - 2015, and has been curated by Tim Marlow, Director of Artistic Programmes at The Royal Academy of Arts. 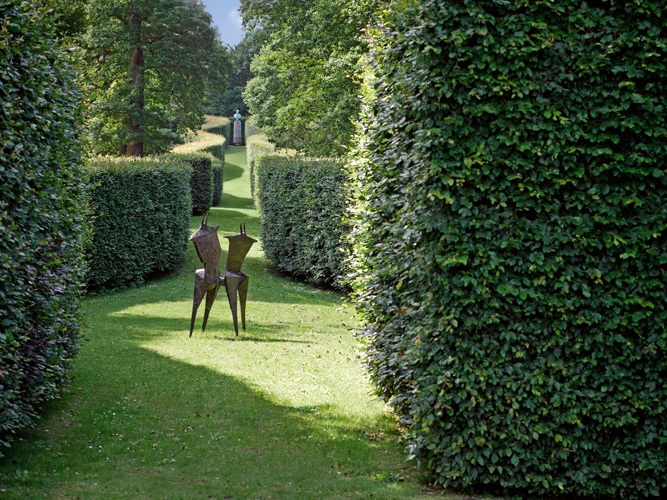 It will feature more than 30 monumental sculptures created by Britain's leading artists from the past 65 years. The exhibition is included with admission to the Chatsworth garden, priced at £12 per adult (concessions apply), and runs from 14 September to 25 October 2015 (11am- 6pm daily).